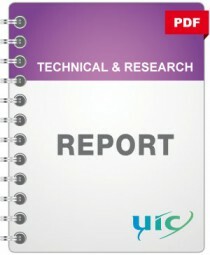 The 8th edition of the UIC Leaflet 541-3 “Disc Brakes” has been a major revision with respect to its predecessor. In order to match new brake system designs, especially for high-speed trains, motor units and locomotives, and their implications on requirements for brake pads, a number of new categories of brake pads have been introduced. For these new categories, new frictional requirements have been developed to allow for higher flexibility in the development and certification of brake systems without compromising safety. In addition to these new key features, a high number of other modifications and additions with respect to the 7th edition have been introduced. This RP describes the non-trivial modifications leading to the new leaflet and gives the reasoning behind these, as well as further background information.